All Myrtle Point homes currently listed for sale in Myrtle Point as of 04/25/2019 are shown below. You can change the search criteria at any time by pressing the 'Change Search' button below. If you have any questions or you would like more information about any Myrtle Point homes for sale or other Myrtle Point real estate, please contact us and one of our knowledgeable Myrtle Point REALTORS® would be pleased to assist you. "20.50 acres in a wonderful location with awesome views! 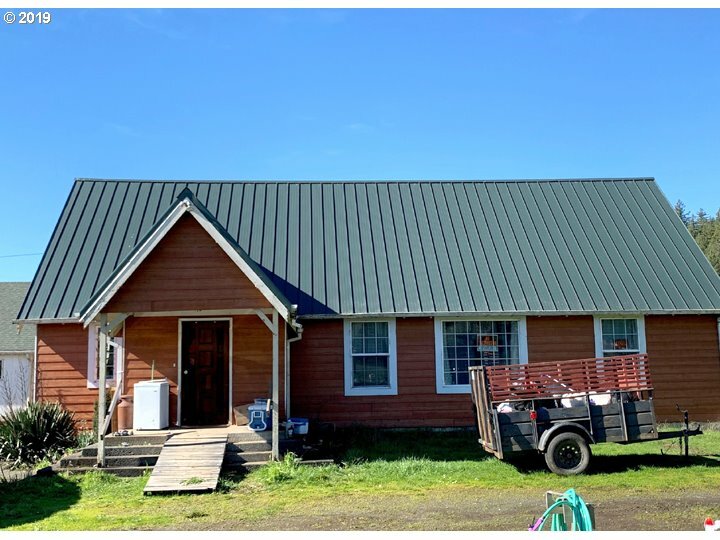 2 level Custom home with huge stick built 40 X 80 Shop, 16 foot doors for easy access, in ground pool, barn, fenced & cross fenced, large flat area that could be riding arena & a pole building. Home built in 1975 with approx. 3541 sq.ft., has been beautifully updated, separate living area downstairs currently rented out. 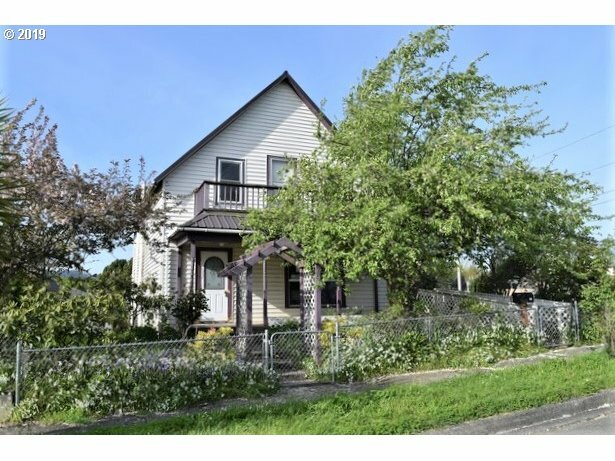 This property has too much to list-a must see to appreciate"
"Charming craftsman with 5 bedrooms and 3 full baths. 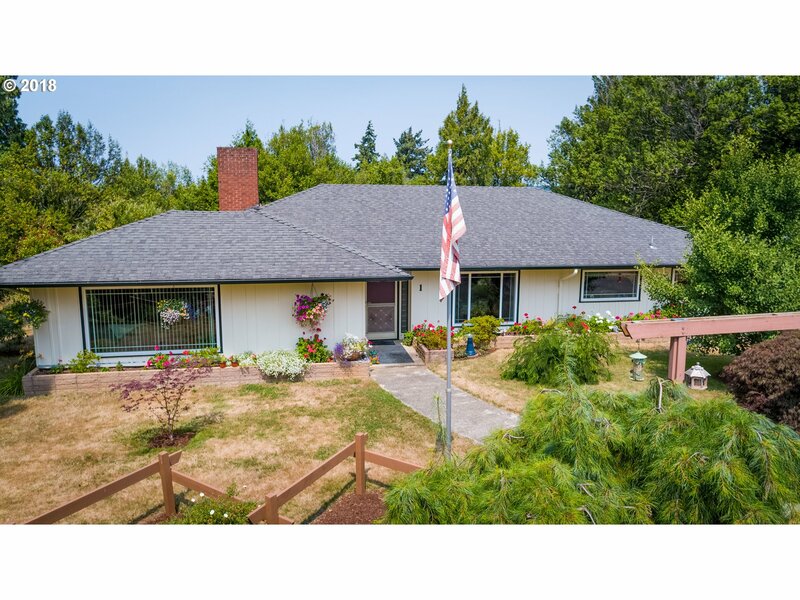 Spacious property on almost half an acre of mature landscaping. Move in ready with extensive remodeling and maintenance recently completed. Beautifully upgraded kitchen, living room, formal dining room, family room, and 2 fire places. New tankless water heater, appliances and sewage pump recently installed. Plenty of built-in storage makes this family friendly home an easy move." 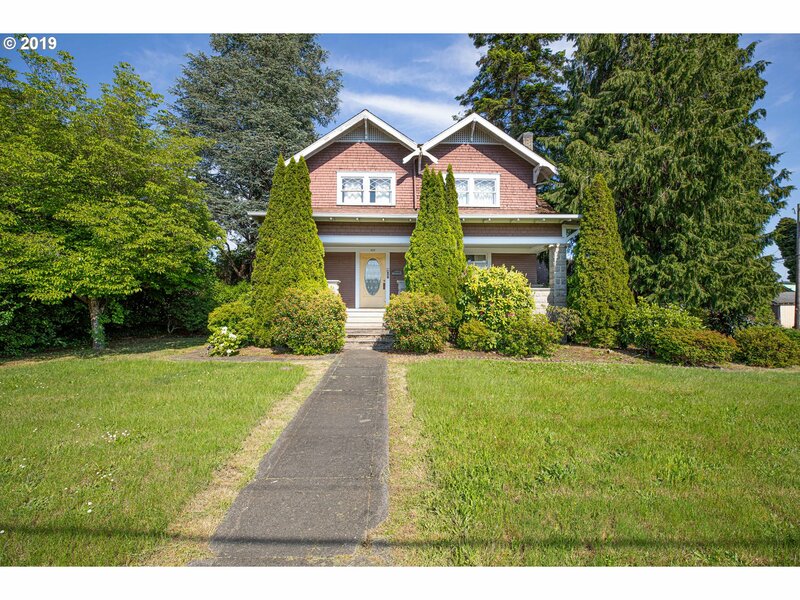 "Step back in Time to the Grandeur of this timeless vast Craftsman style home on large landscaped corner lot! Quality details w/ Original Wood Built-ins throughout. Approx. 2,568 sq ft +/- & 600 basement, 5 bd/1.5 bth, original wood wainscoting & wood floors, large built in hutch & cabinets w/leaded glass in Formal Dining & Piano Rm(family rm)w/fireplace. Master on main floor & 4 bds upstairs, 2nd set of staff stairs going to kitchen." "Unique Custom Ranch Style Home on small acreage. Home & Property feature several amenities. 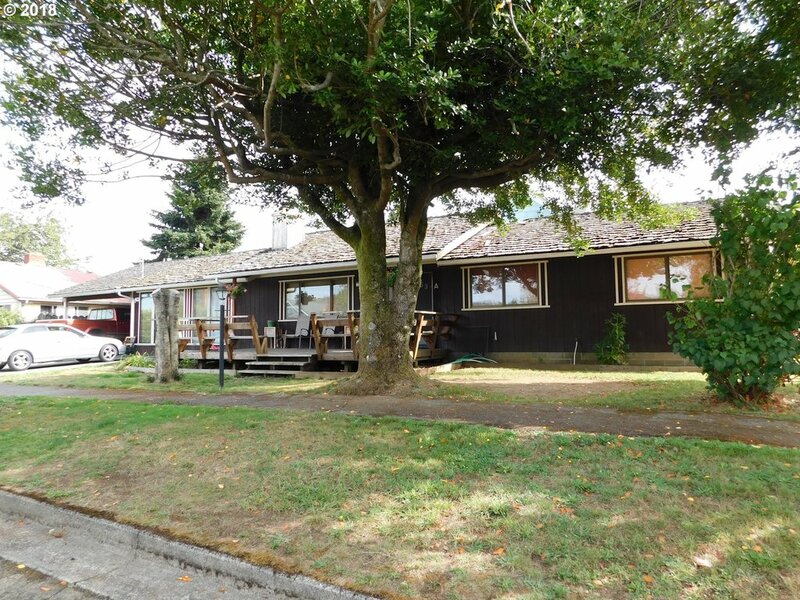 Great Valley View, Asphalt Drive, Several Outbuildings, Natural Light. Attached 2 car garage, and 1 detached garage in pasture area that leads to forested area w/ trails. Home features 3 bed, 2 bath, Open spacious floor plan, high ceilings, formal dining, country kitchen, upgraded building materials, Full Basement and attic. Zoned R1"
"GROUP HEADQUARTERS Dream your use! Sunny Coquille Valley. Remodeled Arago Church features 2000 sq ft on Main floor with dramatic open-beamed ceiling great room + 1100 Sq Ft basement Fellowship hall, Separate parsonage is 1500 sq ft. There is 4600 sq ft total. Includes Modern Kitchen, apple tree, fenced yard. Corner Lot. Kitchen Appliances. 3 Bedrooms in Main building. Parsonage used as storage Popular corner location in Arago." "Come and see this beautiful home surrounded by forest. 2 bd, possible third, 1.5 baths, brand new carpet, vaulted wood ceilings, tons of custom cabinets, open concept, light filled sunroom, Brand new 50 year roof, new french drains, Recorded domestic river rights, brand new water system with UV. Clean pest and dry rot on file. Beautiful orchard and acres of forest. Some merch timber. This is your place in the country! Call today!" "Iconic Myrtle Point Craftsman Stunner! 2 beds 1 & a 1/2 baths on the main, 2 beds & 1 bath upstairs. 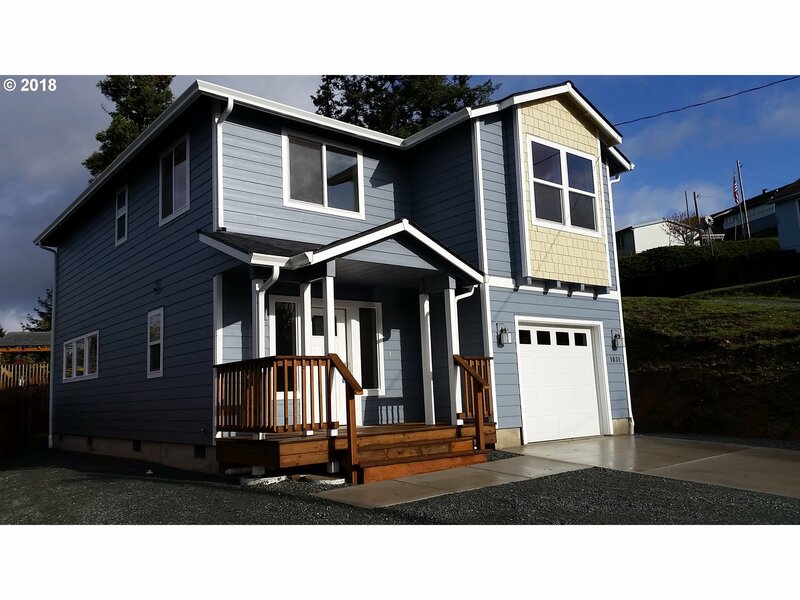 Nicely updated with beautiful refinished wood floors, pellet stove, granite in kitchen, new appliances, formal dining, large bonus room, huge corner lot fully fenced with underground sprinkler system. Extra deep attached garage. Now is your chance to own a piece of Myrtle Point History. Call Today!" 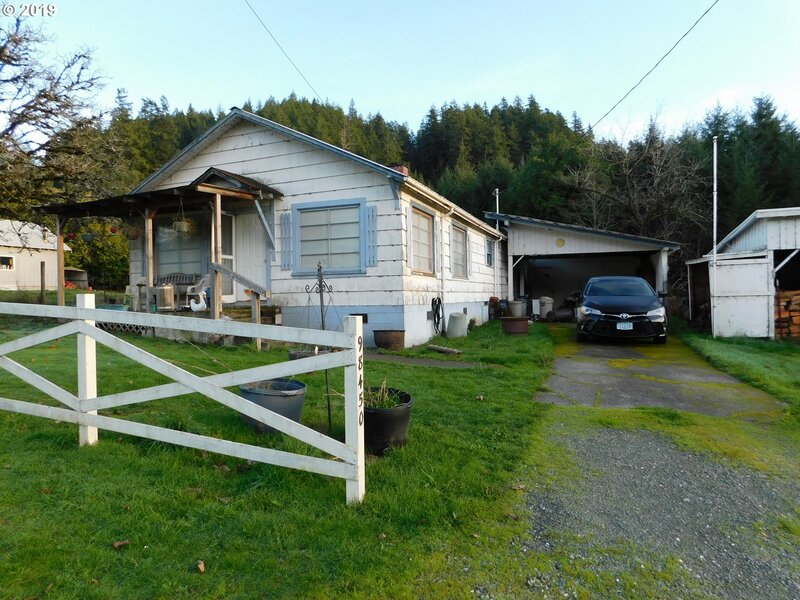 "Come see this Country Home just outside of town featuring 3 Bedrooms plus BONUS ROOM!! Carport and tuck under GARAGE, Outbuilding, spacious FENCED BACKYARD, COVERED PATIO for entertaining and room for all your toys." "Enjoy Gorgeous Sunsets in this 5 Bed/2.5 Bath spacious Daylite Ranch style home! Approx. 2591 sq ft, gourmet kitchen with built-ins: oven/range top/dishwasher, huge master suite w/master bath, jetted tub & separate shower stall, large Living room & family room. 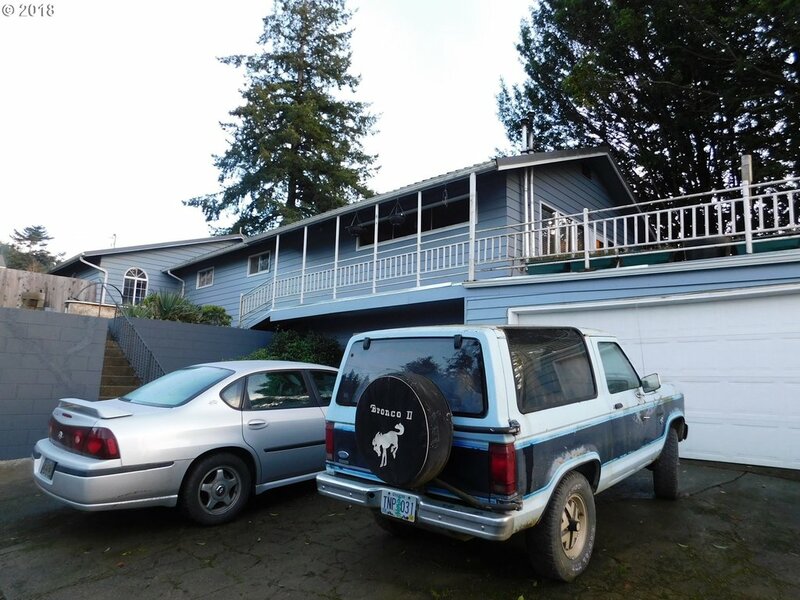 Double attached garage, RV parking, ramp goes to upper view deck, patio area, fenced yard, garden, fruit trees- 3 apple, plum & a fig. All this & more on a 100 x 176.9 lot!" "Wonderful Country Location only 3 miles to town. Large 3 bedroom 2 bath 1978 Kingsbrook 27x66 double wide mobile home on 1.04 acres. Country kitchen with nice family room, large decks on front and back. Small orchard with Fruit trees and grapes, greenhouse, chicken house,blacksmith / stall. Don't miss this one!!" "BRAND NEW Hiline HOME WITH GREAT VALLEY AND TOWN VIEWS. UP GRADED APPLIANCES. GREAT WORKMANSHIP ON THIS EXTREMELY NICE 3 BED 2 1/2 BATH HOME LOCATED ABOVE DOWN TOWN MYRTLE POINT. FANTASTIC SOUTHERN AND WESTERN EXPOSURE. 4 CAR PARKING BY HOUSE 5 CAR PARKING AT STREET LEVEL. Call your Favorite Realtor, GO TAKE A LOOK AND MAKE IT YOUR DREAM HOME! OWN THE NEWEST HOUSE IN MYRTLE POINT. Listing agent related to seller." "Country Living Close to Town! 9.70 +/- Acres! Home with great potential, is a fixer upper. Has two wells, a good septic, a nice road, and flat homesite close to town! Recently logged. Seller has replanted with Douglas Fir trees. Surrounded by forest land. In the process of being cleaned up with new trees being replanted at the road. Call for details." "One level ranch style home in a great location on a corner lot in Myrtle Point! 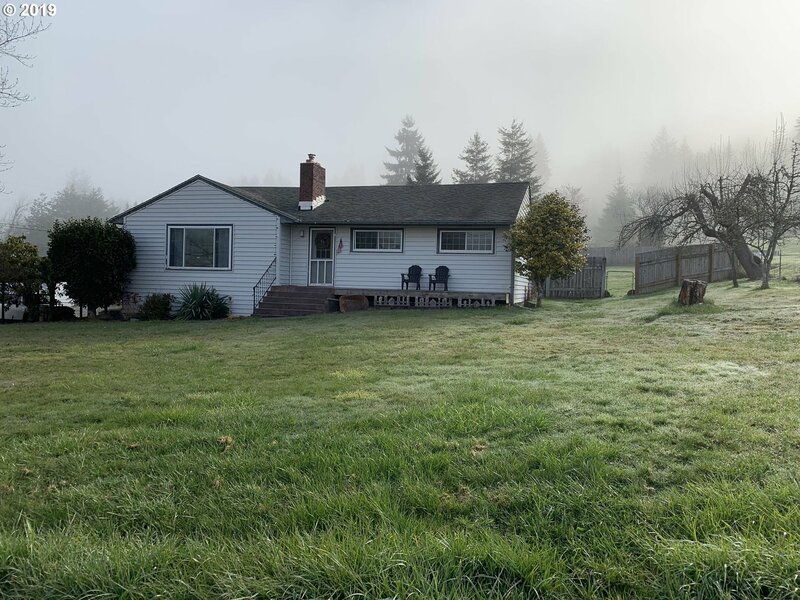 Built in 1979 with approximately 1632 square feet, 3 Bedrooms and 2 baths, Country kitchen, dining area, large family room with wood stove, utility room has separate entrance, electric and wood heat, deck, attached double carport and a tool shed. All of this on .12 of an acre." 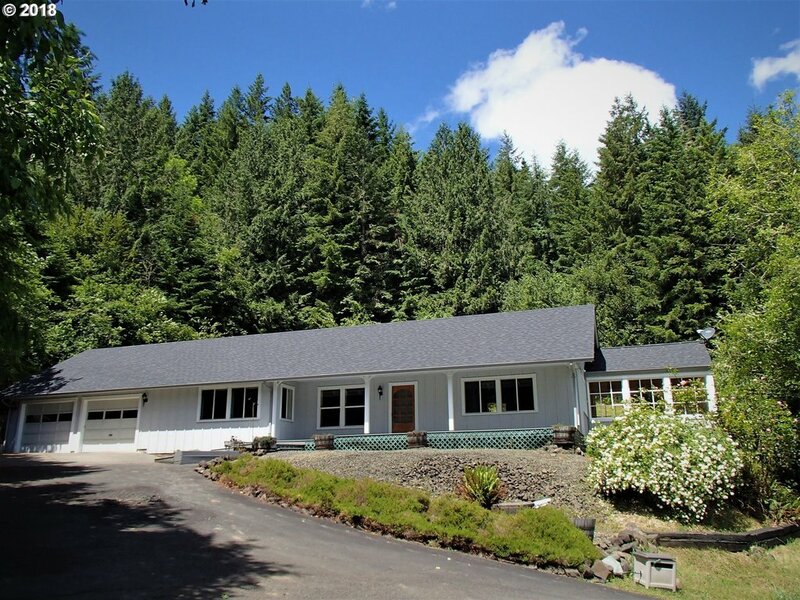 "Spectacular home with 2.41 acres., property has two homes. Two tax lots One two story farm home, one manufactured home potential income producing on .84 acre. Grounds feature large yard, gazebo, spa, sauna, pond, fire pit and fruit trees. Main farm home features 5 bedrooms, 1,728+/-sq. 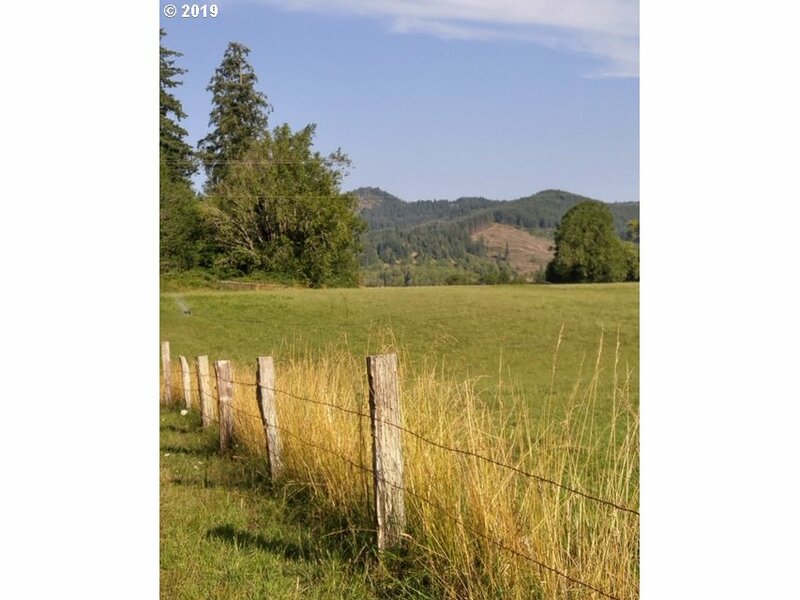 ft. plus 1.54 acre parcel in lovely Broadbendt, OR." "The best of small town living is here for you! Very comfortable home with the critical things remodeled, 3 bedrooms and 2 baths with a great fireplace insert awaits you. Carport plus 4 storage rooms built give plenty of space for your things. Nice yard too! New roof in 2008-2009"
"Located only a few blocks from Medical, Shopping & Post Office 1 level ranch style home on .11 of an acre that is fenced in with some nice landscaping. Built in 1982 with approx. 936 sq. 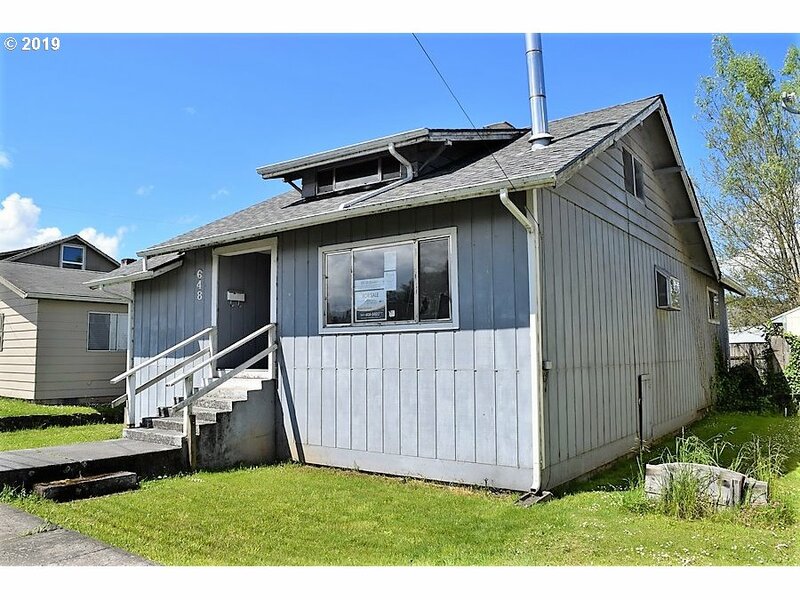 ft., 2 Bed/1 Bath, nice sized living room, Kitchen has Oak cabinets with dining area off to the side, fairly large bathroom with nice storage, bonus covered add-on porch, single car attached garage with laundry area & a metal storage shed in back yard." "Located out in the Bridge Community on .25 of an acre with a one level traditional home. Built in 1947 with approx. 960 sq.ft. this 2 Bedroom & 1 Bath home is nice & cozy. Old fashioned front porch, spacious living room with fireplace with wood insert, country kitchen with newer stainless appliances-refrigerator, range & dishwasher, enclosed back porch/pantry area, double carport/work shop area. The home next door is also for sale!" "Cute cottage in Myrtle Point, that features vinyl windows, newer roof, needs interior painting and flooring. Ready for new owner or investor. Call for an appointment today." "This roomy home is centrally located and nearby to many amenities - schools, library, groceries, restaurants EVEN THE COUNTY FAIR! The large living room has a pellet stove to keep you warm & cozy. The family room has a lovely built in buffet, 1/2 bath & french doors to the backyard & deck. Two bedrooms and full bath on main level and third bedroom upstairs. Alley access to backyard. LBP"
"Great historic home on corner lot in town. Large open living room & dining room has high decorative ceilings & vinyl windows.Nice open kitchen w/plenty of cupboards & counter space.One bedroom & full bath on main level & family room, two bedrooms & 1/2 bath upstairs.Enjoy summer nights sitting on the upper balcony/front porch.Vinyl siding/metal roof. Oversized garage.LBP. Per FHA appraiser 1428sf above grade." "Located in Bridge on .47 of an acre with a one level traditional style home in the process of being remodeled. 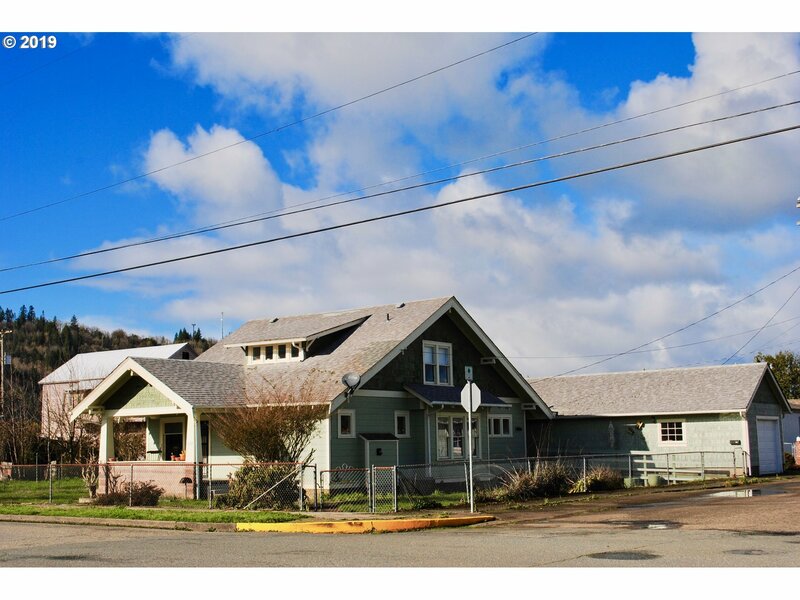 Coos County says built in 1936, 978 sq ft., 2 bed/1 bath. Seller was in the middle of a remodel so it needs someone to come in & finish it. Could be cute as can be just needs some tender loving care. Metal roof, wood lap siding, kitchen & bathroom partially complete. Covered front porch, garage & carport. As-Is Cash sale!" "Great location for this beautiful 2018 manufactured home. 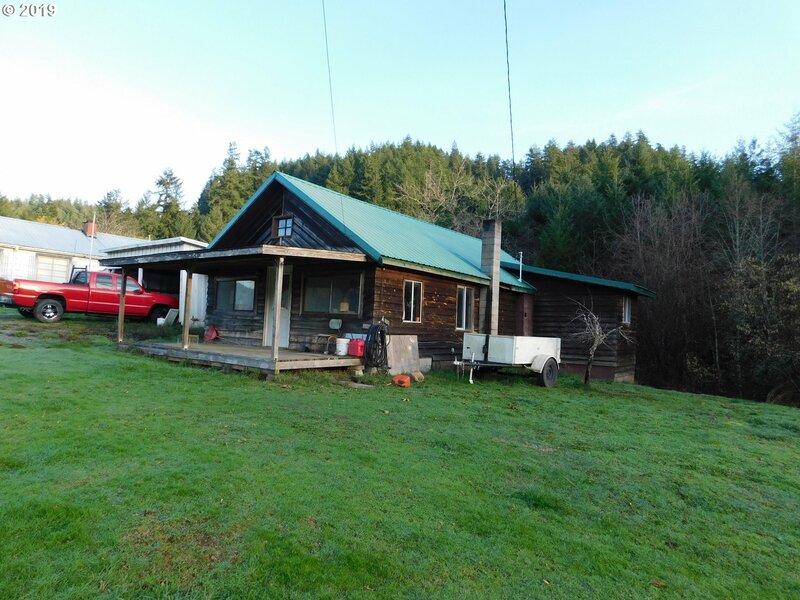 2 bedroom 1 bath, 784 sq ft. Large deck with view of trees and forest. Lots of parking! Open floor plan with island, utility room, many upgrades. 40 foot SGC for extra storage. Sitting in the middle of the forest with virtually no neighbors."